Another character from the Batman files is making his debut on the next episode of Gotham. The Red Hood (with a red ski mask instead of the signature cone-shaped head gear sadly) makes his debut on Monday. 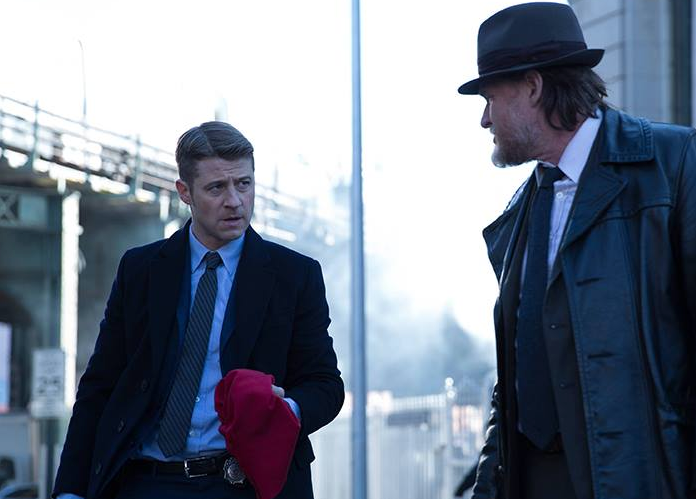 In this featurette released from Fox, Donal Logue ("Harvey Bullock") and Ben McKenzie ("Jim Gordon") discuss the mythos surrounding the latest villain to make his mark in Gotham. Gotham, “The Red Hood,” airs Monday, February 23 at 8pm on FOX.